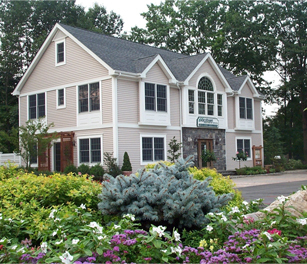 SADDLE RIVER, NJ- In conjunction with Bergen Health & Life Magazine, Jacobsen Landscape Design and Construction will be hosting the magazine's inaugural Gardens of Bergen Tour at its new Landscape Gallery in Saddle River. The event takes place June 12, 2011. Participants in the Tour will join Bergen Health & Life Editor-in-Chief Jennifer Vreeland to tour some of the most prestigious residential gardens in Bergen County. As the highlight of the event, Jacobsen Landscape will host a post-Tour reception at its Landscape Gallery, located in Barnstable Court in Saddle River, including special presentations by area artists, designers and musicians. In addition to a Bergen County garden designed by Jacobsen Landscape, the tour will stop at gardens designed by fellow sponsors, Arapahoe Landscape and Borst Landscape. 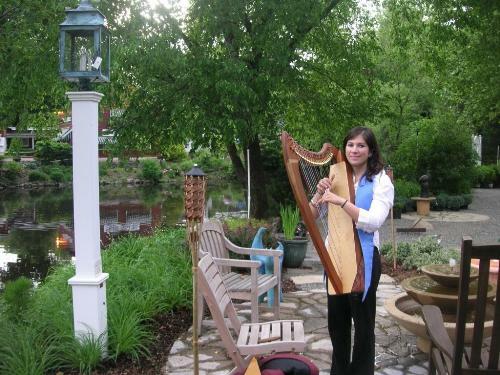 Among the events planned will be a display of Plein Air paintings by artist Joe Terrone of Glen Rock, a performance by harpist Alyssa Martini of Warwick, N.Y., and a demonstration of Garden Feng Shui by local artist Lois Kramer-Perez. In addition, Jacobsen Landscape designers will present a continuation of the company's popular Landscape Education Series for all participants of the Gardens of Bergen Tour. Designer Ben Grace will offer a presentation on "Environmental and Rain Gardens," while designers Carmia Schepmoes and Jessica Agnello will provide insight into how to design, plant and maintain "Herb Gardens for Health." "Our participation in this inaugural Gardens of Bergen?Tour is just one of the many community events we facilitate by opening our doors to our community," says Jacobsen Landscape founder and owner Glenn Jacobsen, CLP. "To host such a prestigious event gives us an opportunity to share some of our landscape knowledge with the participants as well as expose them to our wonderful Landscape Gallery." For more information on the Bergen Health & Life Bergen Garden Tour: www.bergenhealthandlife.com/gardentour.